If you’re like us, you wait until Halloween to carve your pumpkin into a Jack O’Lantern. Maybe it’s tradition but it’s also because the second you carve that pumpkin is starts to rot and doesn’t last too long (especially because it always seems to be rainy around Halloween too, right?). Well, this year – after a very persistent toddler kept telling me we needed to, we made our pumpkins into Jack O’Lanterns weeks before Halloween! 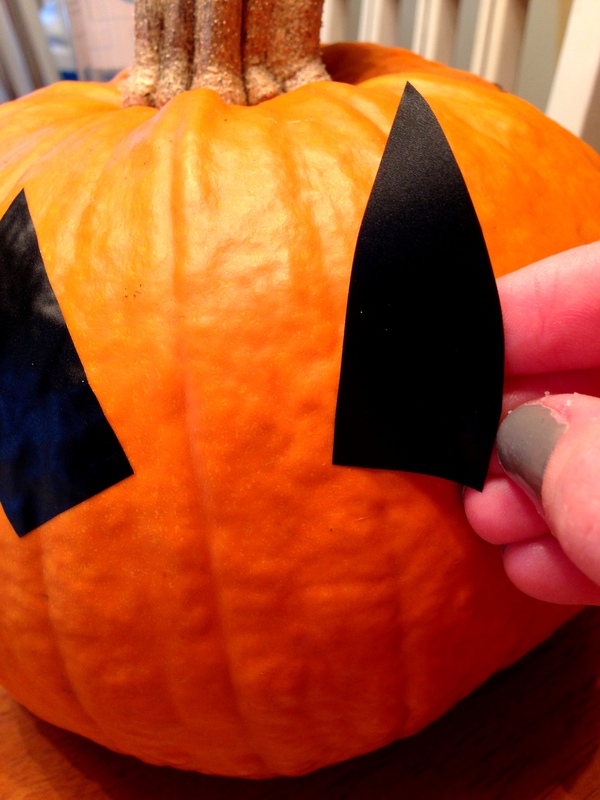 I used this great vinyl adhesive paper in black to create the appearance of a Jack O’Lantern and they came out pretty cute. Or should I say SPOOKY! 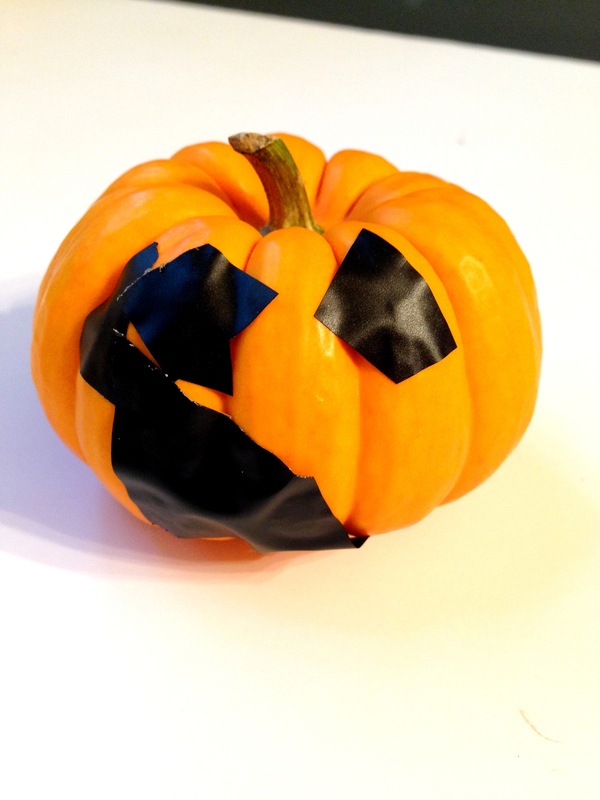 Not much of a tutorial here – just draw your shape on the back of the black vinyl, cut it out, and stick on your pumpkin! It’s so easy your toddler can make one with her safety scissors. 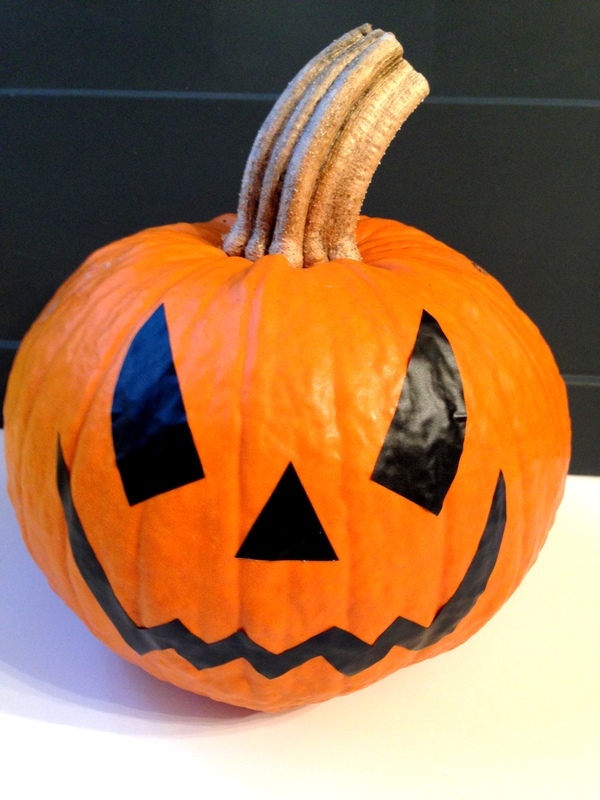 Plus the vinyl is removable so you can peel it off right before Halloween to properly carve your pumpkin. Don’t you love how Z’s turned out? It sure is! 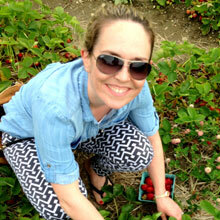 Thanks for reading Emma! What a great idea!! Love how they came out!! I wish I was as crafty as you. You’re so sweet Mree! And you could totally do this craft too!